Monday! Here we are again. Youngest son is going to have surgery on his nose, throat and ears this week. 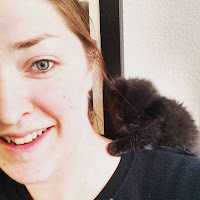 He will have tubes put in his ears to drain the fluid that keeps building up and causing him to go deaf. He is going to have his adenoids take out to help with his breathing through his nose and swallowing, and he will have his tonsils removed so he can breath better at night. All of this will be done at the same time, poor little guy. He is going to be miserable for a while, but the benefits in the long run will be amazing. I can't wait for him to hear better. 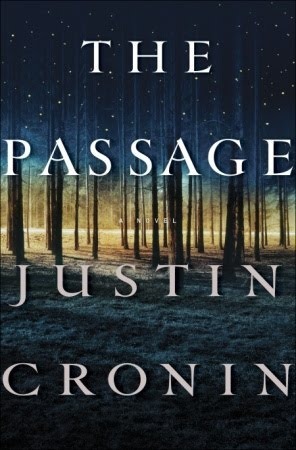 This weeks book is The Passage by Justin Gronin. I really liked the show and now that I am reading the book, I'm finding that the book is much different than the show. I'm not sure if its in a good way or a bad way yet, but I'm only about 25% of the way through the book and haven't gotten to the good parts yet. We shall see. Stay tuned. 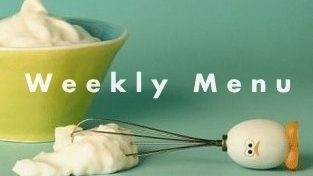 This weeks menu looks delicious so please, enjoy!